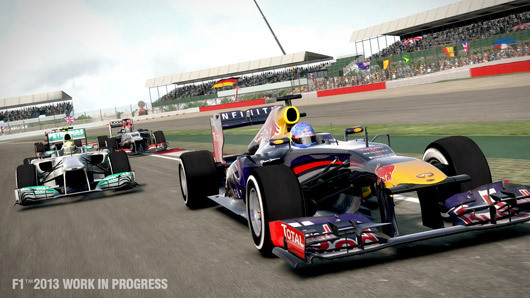 Grid and Dirt series developer Codemasters will drop the "VIP Pass" online multiplayer activation system initially planned for its upcoming racer F1 2013, MCV reports. Codemasters launched the VIP Pass program in 2011, requiring players to either input a code or pay a one-time fee to access the online multiplayer features in Grid 2, Dirt 3, and other games. The publisher did not announce whether it plans to abandon the VIP Pass program for all of its upcoming releases. Electronic Arts eliminated the equivalent Online Pass system for its current and future games in March. "We recently reviewed the VIP Pass activation system and took the decision not to include it in either F1 2013 and F1 2013: Classic Edition," a Codemasters spokesperson told MCV. "Players will not be required to activate multiplayer functionality via a VIP Pass code and we have no plans to replace the pass with an alternative paid-for activation system in the game when it launches this October." Codemasters ditching online pass for F1 2013 originally appeared on Joystiq on Wed, 31 Jul 2013 18:30:00 EST. Please see our terms for use of feeds. Having only previously played Muramasa: The Demon Blade out of all of Vanillaware's work, it's safe to say I'm not as familiar with the developer's work history as I'd like to be. Having done a little bit of research about the company's previous efforts on PS2, DS, and PSP, as well as the effort of Dragon's Crown, it's safe to say I think it's time I remedy that. Not only do they consistently put out beautiful, engrossing games that blend RPG elements with other genres, but I'm beginning to think that we're looking at pieces of one collective work rather than the seperate-but-similar approach we've all been duped into believing. I submit that the collective works of Vanillaware's history are not, as we've come to be told, unique works, but a series of sequels and prequels set in the same world. I mostly joke, but given the graphical similarities between Dragon's Crown and previous efforts such as Muramasa: the Demon Blade, Odin Sphere, and various others, it's not hard to come to the conclusion that each and every one of these titles takes place in the same world, with the same history, but in different eras and regions. After all, the only real difference was that Dragon's Crown was western European fantasy and Muramasa was Japanese fantasy; east meets west, as it were. Hell, both games even use the same font! Next up, we need to see them do a superhero game set in modern Manhattan. I'd buy that, but I digress. Regardless of the similarities in aesthetics, I'm not complaining; quality is quality, and Dragon's Crown is just as pretty as, if not prettier than, any of Vanillaware's previous titles. I'm not sure if what we have here is cleverly disguised, high quality sprites or polygons with some of the best paint jobs I've ever seen, given the depth and 3D effects that are seen; either way, Dragon's Crown is, as expected from Vanillaware, an absolute marvel to gawk at. I really don't think I need to extol the virtues of the graphics: just take a look at the enclosed screenshots. I'll let them do all the talking. The story is simple, told by an omniscient narrator who acts as both a guide and storyteller. Every bit of the plot, save a few sentences of dialogue, is recited by the narrator as though you were in a particularly engaging Dungeons and Dragons campaign and he was the dungeon master guiding your way. He tells you what you see and what you feel, and fills in the blanks. Much of what he says is a combination of exposition and gentle nudges in the right direction, so if you're lost, don't worry, the narrator tells you where to go and what to do every time you come out of a shop! Helpful, yes, but it eventually gets annoying once you've been told the same piece of advice a dozen times or more since you're busy doing side quests rather than the main story. The plot is about as simple as you'd expect from a game entitled “Dragon's Crown”: legends say that there is a crown that can control dragons, and the royalties of Hydeland are all scrambling over one another to gain control of said crown, using you (the player) as a pawn. There's clearly more to it than that, but that's all I will say since I don't want to spoil anything. Those of us who purchased BioShock Infinite’s DLC Season Pass have been waiting anxiously for news of DLC for four months, but in an impressively short announcement-release gap, the first of three planned DLC packs, Clash in the Clouds, has finally been released. It forgoes the narrative and atmosphere of Infinite to present what is essentially a series of wave combat arenas. If you liked everything about Infinite except the combat, then stay far away, because this retains nothing of Infinite except the combat. However, if like me, you found Infinite’s combat appealing, then Clash in the Clouds should definitely be on your radar. You begin with nothing. You are inside Columbia’s Museum of Archaeology with Elizabeth, without any indication of how you got in or why you are visiting, handed a couple of weapons and a handful of Vigors, and promptly directed to the first of the four arenas, Ops Arcade. Each of these arenas, based on a location in Columbia from the campaign but by no means identical, has you battle your way through fifteen waves of enemies, with breaks in between waves to switch your weapons and purchase upgrades, accompanied by a complete refilling of your health and salt meters. The maps do change subtly between waves: the tears change location and variety, airships can appear with enemies on them, and even the skyline is sometimes absent. In a way, it’s more like completing fifteen separate levels than a single level with fifteen waves. Should you die in-level, you have a choice: return to the Museum, score intact, or continue, resetting your score to zero and apparently excluding you from the leaderboard. I say “apparently” because I needed to use these continues to finish every single one of the four arenas, and yet I had highscores on all of them, which corresponded neither to my score at my first death nor my total score across all lives. Before each wave, a tool-tip tells you which enemies you can expect to encounter, and shows you your blue ribbon objective, an optional target to secure a higher score and more cash. This can be a limit on which weapons you use, a requirement to use Vigor traps, a time limit, or something else entirely (such as Possessing a Handyman and using him to kill at least two enemies). I’m not really a fan of these on the whole. Early on in each level, they are trivialities that just make the game less enjoyable (if I wanted to take out a wave of enemies with only a shotgun, I wouldn’t be playing a BioShock game), and later they are downright impossible, because just completing the level by any means is extraordinarily difficult, certainly much harder than anything in the main campaign. One level involved defeating two handymen at once with no tears available; another had several gunship-mounted rocket turrets and a siren (an enemy with enormous amounts of health who can resurrect other soldiers). To make things a little bit easier, you can buy a single mid-level resurrection between waves, and if you use the Continue option after death, dead enemies remain dead, and your health, salts and ammo are refilled, which can make things slightly easier. The hardest waves, however, could well take you upwards of ten tries at first. The first batch of 2,500 Minecon tickets go on sale tonight at 7PM Eastern (4PM Pacific, Midnight UK) at the block party's official site. A second and third batch of tickets are planned for August 2 at 10AM Eastern (7AM Pacific, 3PM UK) and August 3 at 3PM Eastern (Noon Pacific, 8PM UK). 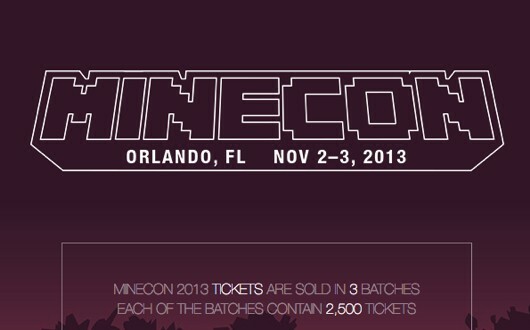 Minecon 2013 is the third annual Minecraft convention, which will be held in Orlando, Florida, from November 2-3. As an aside of potential demographic overlap, it's only about an hour from Orlando to Legoland. Minecon 2013 tickets on sale tonight at 7PM Eastern originally appeared on Joystiq on Wed, 31 Jul 2013 16:30:00 EST. Please see our terms for use of feeds. A listing on Korea's Game Rating Board site indicates that a game by the name of XCOM: Enemy Within exists. The classifications board listed the game for PC, Xbox 360 and PS3. Whether the as-yet-unannounced game is a stand-alone product or extension of last year's XCOM: Enemy Unknown is, well, unknown. We also wonder what said enemy is within. XCOM: Enemy Within listed by Korean ratings board originally appeared on Joystiq on Wed, 31 Jul 2013 15:30:00 EST. Please see our terms for use of feeds. Capcom has posted its financial results for the first quarter of its fiscal 2014 calendar, and despite continued strong sales of its Resident Evil 5 pachislo machine, overall profits are down. When compared to the same period last year, profits were down by 37 percent: ¥828 million ($8.4 million) in Q1 2014 vs. ¥1.32 billion ($13.4 million) in Q1 2013. The report says that these results are "generally in line with the fiscal year targets," which predict profits of ¥6.8 billion ($69.1 million) for the year in total. Capcom's major releases for the three month period ending June 30 were the console/PC ports of Resident Evil: Revelations, and pseudo-expansion/rerelease Dragon's Dogma: Dark Arisen. Revelations performed best at retail out of the two, selling 900,000 units worldwide since the game's release on May 21 in North America. Meanwhile, Dark Arisen has sold 550,000 units since its release on April 23. The document made only brief mention of recent layoffs at the company, saying that "reorganization (development, overseas subsidiaries) is now under way in association with the prior year's business structural improvements." This was listed under "Growth Strategy Initiatives," which is business-speak for "How We're Going to Get Dat Paper." This subsection also contained the document's sole mention of Monster Hunter 4's impending September 14 release in Japan. In related news, Capcom appears to have invented a time-travel device, as it also plans on releasing a Devil May Cry 4-themed pachislo machine this September. Profits decline in Capcom's Q1 financial results originally appeared on Joystiq on Wed, 31 Jul 2013 14:30:00 EST. Please see our terms for use of feeds. As a prequel to Capcom's ice-cracking shooter series, Lost Planet 3 will disintegrate the mysteries that have dogged us since 2006's Lost Planet: Extreme Condition. Why do the snarling inhabitants of planet E.D.N. III insist on flaunting their weakpoints? Why don't astronomical objects stop and ask for directions? How did the condition get so ... extreme? We'd rather not spoil any of that, so instead we'll show you the game's warm protagonist, his big bipedal rig and the on-foot combat in our new video preview. Lost Planet 3, developed by Spark Unlimited, is due on August 27 for Xbox 360, PlayStation 3 and PC. 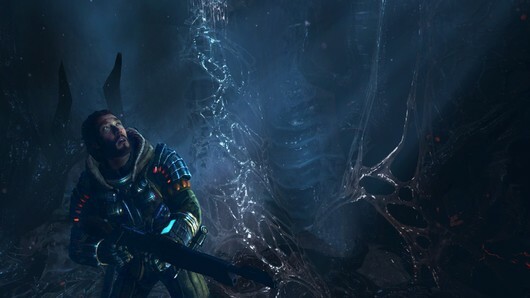 Lost Planet 3 Video Preview originally appeared on Joystiq on Wed, 31 Jul 2013 14:00:00 EST. Please see our terms for use of feeds. Xbox Live Gold members can leap their way across Crackdown or chop their way through Dead Rising 2 for free in August. As part of Microsoft's "Games with Gold" program, starting tomorrow, August 1, Crackdown will be free to agents through August 15. The only cost is how much of your life will be consumed by hunting orbs. 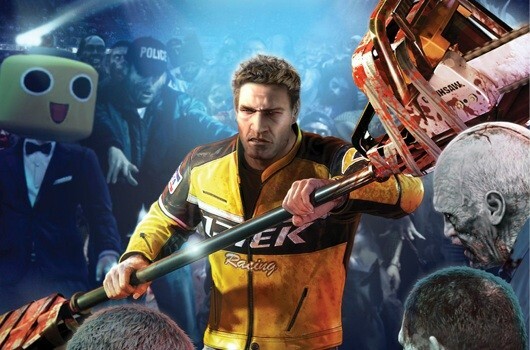 Starting August 16, both Dead Rising 2 and its prologue, Dead Rising 2: Case Zero, will be gratis through the end of the month. Xbox Live Gold members still have until the end of that day to grab and take a stab at Assassin's Creed 2. Crackdown, Dead Rising 2 are the August 'Games with Gold' specials originally appeared on Joystiq on Wed, 31 Jul 2013 13:30:00 EST. Please see our terms for use of feeds. Saints Row is a video game franchise created by Volition, Inc. and published by Deep Silver. 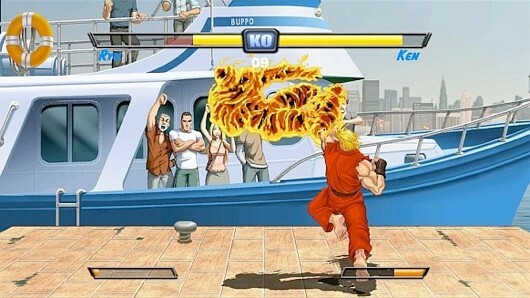 Gameplay is presented in open world format. Because of the mixture of nonlinear gameplay with action-adventure and racing sequences, the series is referred to as being sandbox style. When you think about soccer, FC Barcelona is one of the teams that likely comes to mind, especially because its forward, Lionel Messi, is arguably the best player in the world and co-cover athlete for FIFA 14. EA Sports certainly recognized this when it announced this morning that it settled on a three-year exclusive agreement to become the "official video game partner" of the soccer club. With the partnership in place, EA captured 3D head scans of 17 Barcelona players for use in FIFA 14. Meanwhile, Konami recently announced an agreement to bring 20 soccer teams from the Argentinian Football Association to Pro Evolution Soccer 2014. The license isn't on an exclusive basis according to Konami's announcement. The list of 20 AFA teams to be officially licensed (featuring correct kits, logos and team colors) for the game can be found after the break. Local Argentinian Fox Sports announcers Mariano Closs and Fernando Niembro will also be included in the game. 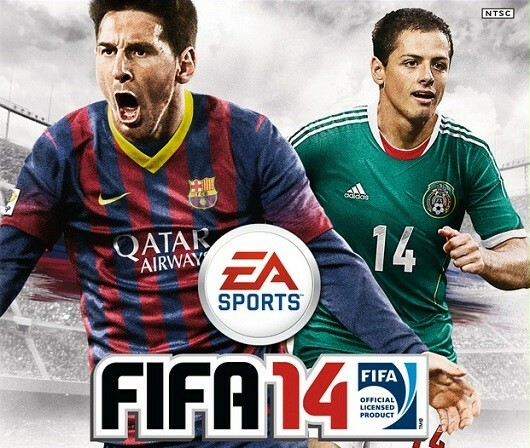 EA inks exclusive deal with Barcelona for FIFA, PES gets Argentinian teams originally appeared on Joystiq on Wed, 31 Jul 2013 11:00:00 EST. Please see our terms for use of feeds.